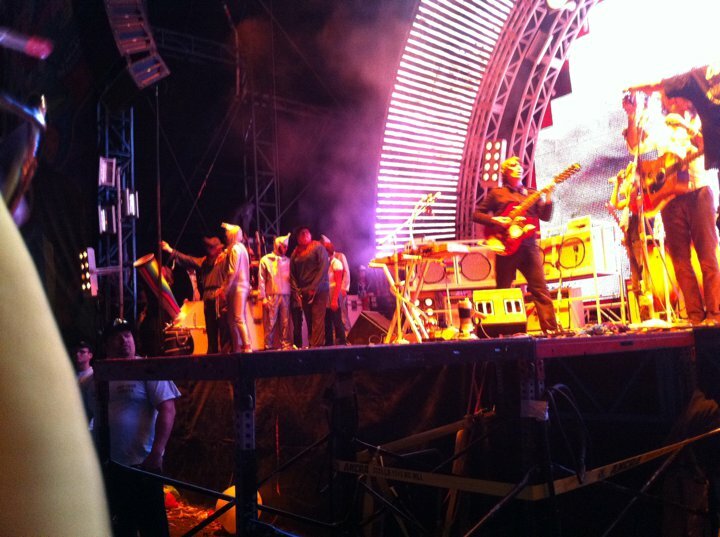 Watch Flaming Lips Play “Kids” with MGMT and Wizard of Oz Freaks! Following-up Wayne’s suggestion from earlier in the day (via twitter, shown at top of page), The Flaming Lips covered “Kids” with its creators. Although this is the first time the two groups played together on stage, it was not the first time Coyne publically proposed a live collab with MGMT. Last June, Coyne told the British press he was trying to get the dynamic synth psych duo to join them at Glastonbury for set opener, “Worm Mountain” – as they do on the Lips’ studio version. UPDATE: When this was originally posted on Saturday, April 30th – the morning after the Memphis in May gig – no video of the MGMT collab had surfaced on the web yet, just the above picture, which I’ve also put the left, zoomed in. This shot happened to be taken at the precise moment Andrew held Wayne Coyne’s auto-bugle to his face as if he was playing a real horn. Not being able to tell what it was he was holding from this photo – let alone hear if he was actually playing it – I mentioned above that it looks like flugelhorn, not that he played he one. Two days later, Monday, May 2, 2011, my post was copied by consequenceofsound, who jumbled what I reported in the process. In turn, deathandtaxesmag and others copied their post and their error. To be clear: Andrew did not play a flugelhorn, he merely toyed around for a few moments with Wayne Coyne’s auto-bugle ( ..if you’ve seen The Flaming Lips in the past few years you’ll recognize it from “Taps”, “Mountainside” and others – as in this picture). I merely suggested Andrew might have on Saturday morning (having only one, far-away picture to go on at the time), and by Saturday afternoon – once video and more pictures became available – it was clear this was not the case. MGMT are the latest in a wide range of artists teamed with The Flaming Lips for their ongoing 2011 series of bizarre musical releases and events. Since mid-February, The Flaming Lips (or individual members) have played live with Sebedoh (watch here), Philip Glass (watch here) and Deerhoof (…here). 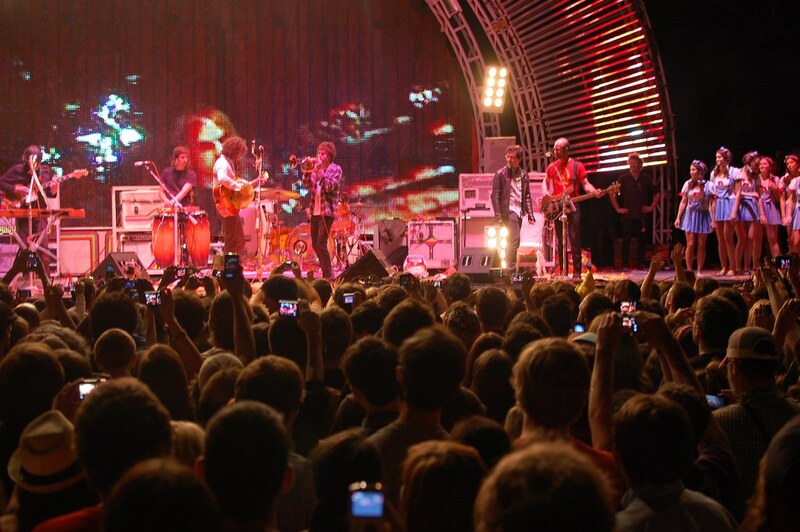 They’ve also announced a special upcoming graveyard bell tower performance with Edward Sharpe and the Magnetic Zeros. In the studio they’ve recorded with Neon Indian (listen to the finished EP here), Brooklyn glitch hop experimenter Prefuse 73 (coming soon here, subscribe) and, just this week, Lightning Bolt. Additionally, Steven Drozd’s score for the documentary The Heart is a Drum Machine – released in January (though recorded years ago) – featured a collaboration with Pusicfer (aka Tool’s Maynard James Keenan), and Wayne Coyne sings on Teddybear’s “Crystal Meth Christian” – another earlier recorded project released this year. The Flaming Lips were the opening night headliner of The Beale Street Festival’s Horseshoe Casino Stage, immediately preceded by MGMT (and before them Cage the Elephant and Manchester Orchestra). B.o.B., Cake, Hubert Sumlin, Jason Mraz and the Stone Temple Pilots played other stages. Today’s line-up includes The New Pornographers, Jerry Lee Lewis, Mumford and Sons, Macy Gray, Ludacris, Lucinda Williams, Ke$ha and John Mellancamp. Tomorrow’s scedule includes Gregg Allman, The Avett Brothers, Cee Lo Green, Betty Lavette and Wilco. As for the Oz costumes, it’s possible they will tie into the Dark Side of the Moon shows The Flaming Lips play this summer – including one in Hollywood Forever Cemetery and another at Dave Matthew’s Caravan in Chiacgo. 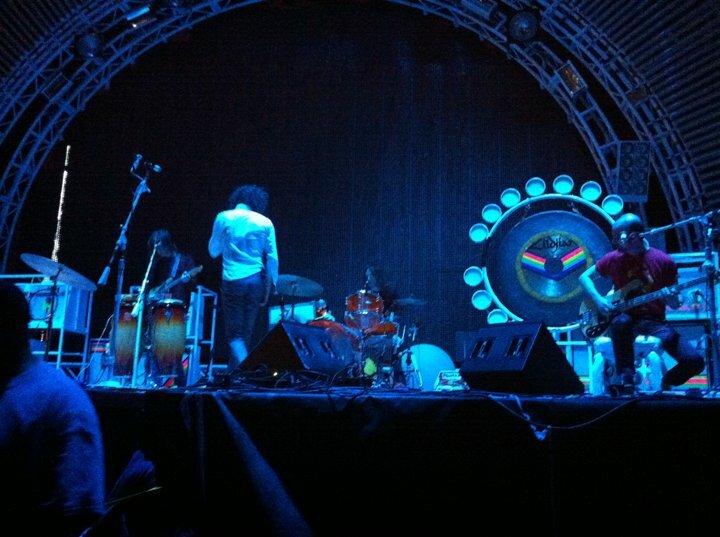 Since the late ’90s, The Flaming Lips have recurringly played Wizard of Oz tunes and Pink Floyd covers together. 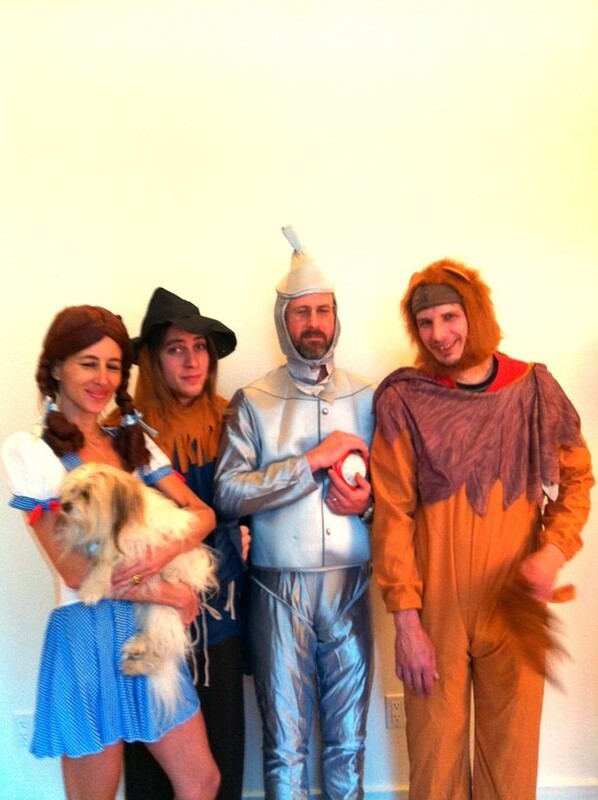 ..not to mention, songs from The Wizard of Oz….. Check back later and follow twitter.com/FutureHeartDay for updates. If you were at the show, or otherwise have information from someone who was (especially if you have the setlist, banter topics or pictures of the costumes), please leave a comment below or tweet @FutureHeartDay. 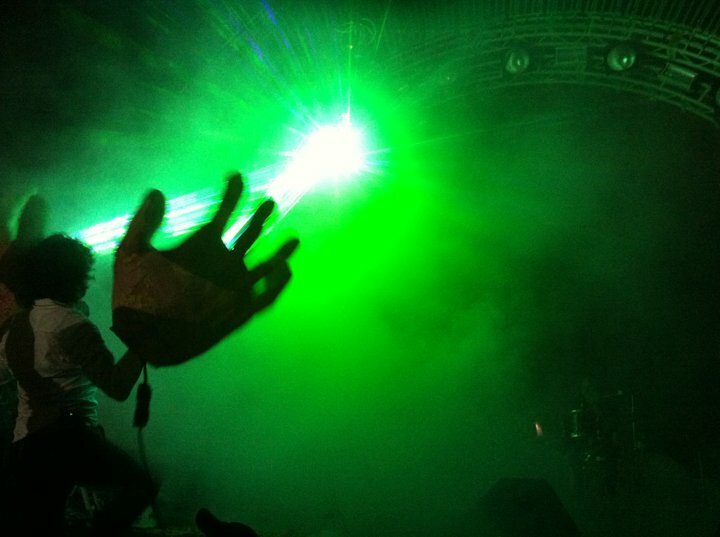 @flaminglips are amazing. Loved the Kids jam with two guys from MGMT #doyourealize? @er7rookie Wayne is so awesome :) he kept waving at my friends and shook our hands <3 hehe yeah i like his pictures on twitter too!! The new stage colors debuted at the Dallas show back in February, not Snow Ball.